*We are currently not taking group bookings for 2019 until further notice. A short stop for Devonshire teas while out on a tour with friends, we will be happy to serve morning tea and provide a tour through the museum and house. Minimum 10 people a booking weekdays only subject to availability of volunteers. School group tours available catering to “Then and Now”. This is a great experience for the children. Please note groups no larger then 40 and subject to availability of volunteers. When you visit, your tour of the house, museum and buggy shed will be an immersive experience of how peopled lived, worked and dressed 100+ years ago, We are close to Ballam park playground, weather permitting you can add a picnic to your day out. arrangement with the President of the Society. 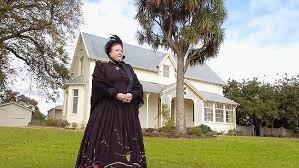 In 2014 Frankston Historical Society was appointed caretaker of another one of Frankston’s gems, The old school room museum and collection, located on the grounds of Frankston Primary School Davey Street. school number 1464 est.1874. 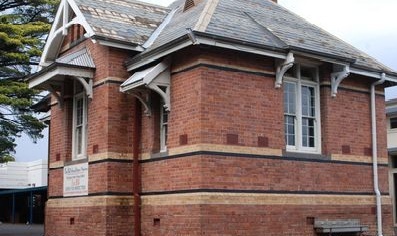 Frankston’s first state school was built in 1874, In 1889 the brick school room was added, this is the only part of the original school to survive and is now museum set up as a period classroom / museum. We provide a “Now and Then” themed group booking for local schools. Subject to volunteer availability.